Thrust is an interesting supplement. 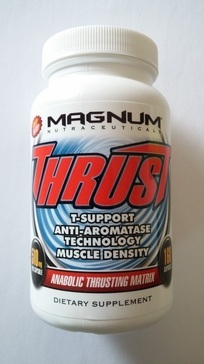 Thrust is sold as a Testosterone Booster, but it’s more than that. Magnum used just about everything in the making of this. Thrust works on so many levels and does so much. It’s really is an impressive supplement. I’ve been impressed with supplements, but normally I’m always left disappointed with natural test boosters. This was an interesting product to use and research. First off I had a great run with it and used it for a body recomposition. There are so many benefits from THRUST that is makes it great for just about anyone looking for an edge. It’s a Feel good; Best Sleep ever, Nitric Oxide Boosting, liver regenerating, Anti-oxidant, raise testosterone in some cases and then some. I will explain all this below. Even though I'm impressed, it does have it draw backs and might not be a good choice for some. I will mention, this gives you the best sleep you will get. Where it lacks, but you may not know? I could not find much of any proof that it will raise Testosterone in healthy males. So if you’re young and have a heathy testosterone production this may not raise your T-Levels like you may want, but it will make you feel like it is. 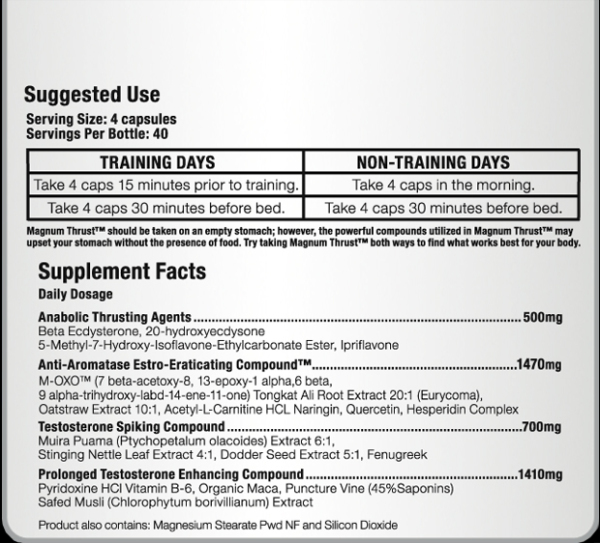 Many of the ingredients mimic the Testosterone effects. So you will get the Alpha Male feeling, aggression in the gym, fuller muscles and the boost in the bed room. So even with that listed above. I wouldn’t really recommend this if you’re not having an issue with at least 2 of the 4 benefits I just listed. Basically if you’re a heathy 18-20’s. Not going to really do much. Where THRUST really shines? If you just finished a Prohormone Cycle or any cycle that effects your testosterone that caused suppression, or you have Damaged Testes. 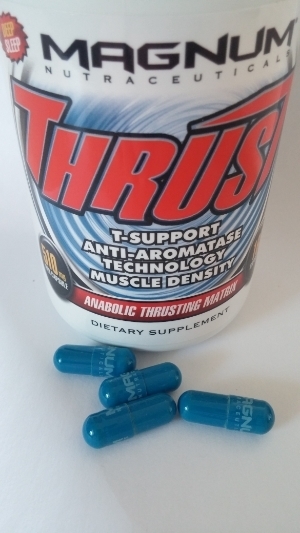 There is proven research that shows the ingredients in THRUST can raise your Testosterone back up. It does this by a few different ways. This is where I would recommend it the most. Men older than 30 or in an OTC PCT would benefit the most THRUST. The last thing I will stat again. You SLEEP like a baby on this stuff. You don't wake up groggy or tried. You wake up nice and easy and just feel ready. TongKat Ali Root: Effective for increasing Testosterone in damaged or suppressed testes, but no evidence showing it will take you above your normal base levels. Organic Maca: Improves sperm, prevents prostate growth and is an aphrodisiac. 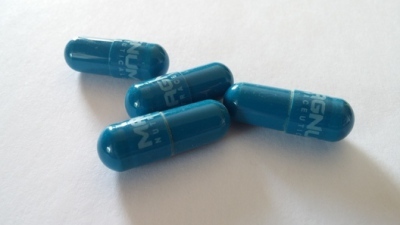 Safed Musil: Improves erectile strength, improves sperm production and is an aphrodisiac. Mulra Puama 6:1: Contains Icariin. Natural Test booster, Strong Nitric oxide Booster, Nerve tonic and again it’s an aphrodisiac. The Nerve Tonic I believe is helps a little with better sleep. Stinging Nettle Leaf: Mild effective aromatase inhibitor that controls estrogen. Helps raise Free Testosterone with better DHT levels. This is what helps give that alpha feeling and aggressiveness. This is the main ingredient that promotes Deep Sleep. Deep Sleep is one of the big benefits everyone reports while one THRUST. Dodder Seed 5:1: Androgen like action can protect the reproductive organs, Promotes the testicular development and production of testosterone. It’s shown to improve bone density and promote cartilage repair too. 20-hydroxyecdysone: Comes from Spinach. Increases Protein Synthesis up to 20%. In the most recent study from 2014. The study showed even though it doesn’t raise testosterone levels. It still grows muscle. It increases the muscle cell hypertrophy and muscle growth through the Estrogen Receptor Beta. Ipriflavone: Anti-Oxidant more potent then Vitamin D. Improves live regenerations after toxin damage(PH cycles). Improves Recovery and increases Protein Sythesis. Rating this was tough. For me it was a 8 out of 10, but for some younger guys. I can see it not doing as much. So my ratings are a bit odd on this one. Ingredient Profile (6-9/10) Has a bit of everything in it that seems to get the job done in one way or another. Depending on what you’re using it for. Performance (6-9/10) Again comes down to why you are using it. Cost: $52-$66 is what I saw for a 20 day supply. Overall: (6-9/10) Yes again a 6-9 out of 10 rating. Over all I give it a 8/10. I think there is some room for improvement. I will say everything they listed works great together. 9.Am J Clin Nutr. 2000 Aug;72(2 Suppl):624S-36S. Selected herbals and human exercise performance. 12.J Agric Food Chem. 2008 May 28;56(10):3532-7. doi: 10.1021/jf073059z. Epub 2008 Apr 30.